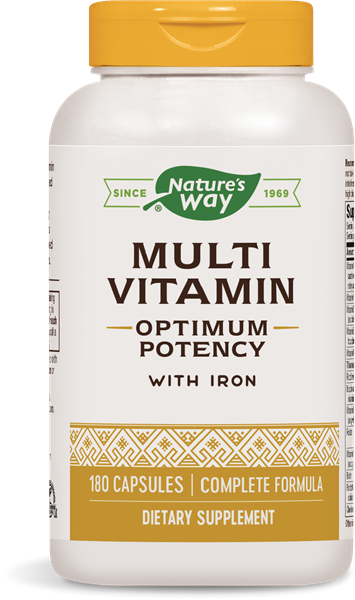 Multi Vitamin with Iron - Nature's Way®. Take 3 capsules twice daily, preferably with food. Do not take if pregnant or nursing. Do not take with sulfonamide since PABA interferes with the activity of this drug. If taking any medications, consult a healthcare professional before use.